One of the best times to craft with the kiddos is around a holiday. It’s more exciting for them to make the crafts because they understand more what the craft is, the anticipation of the holiday coming is really exciting, and there’s a story or significance behind the craft. With Easter coming soon it’ll be time to make some crafts for the spring-filled holiday. One of the cutest symbols of Easter is the iconic bunny. 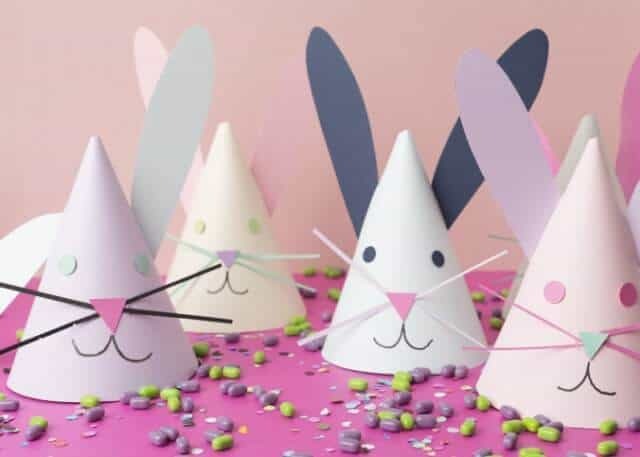 Bunnies are so cute and of course exciting for kids because of the Easter bunny, so you can imagine how happy they’ll be to make some bunny crafts. 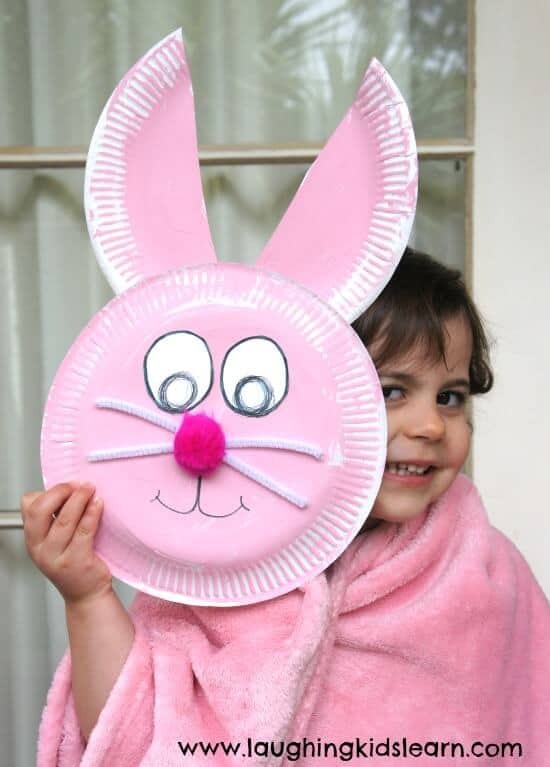 Here are some ideas for a few adorable bunny crafts you can make with your kiddos for Easter. I love how colorful this fun craft is. Grab some Easter colored paint chips at your local paint store, then help your child trace and cut some bunny heads out. 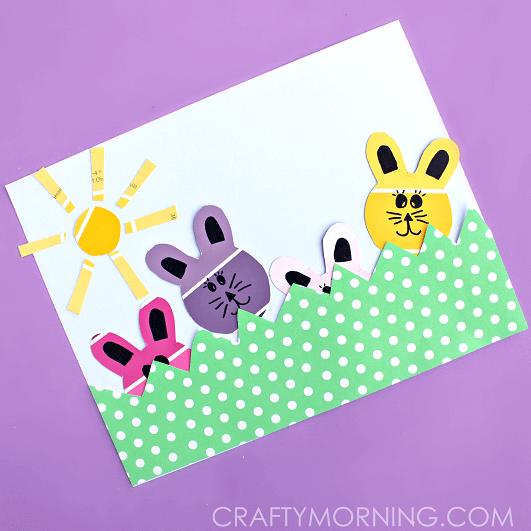 Have your child decorate a piece of paper with some pretty, fun colored pieces of paper and pretty soon you’ll have an Easter scene ready to display on the fridge. Crafty Morning is a fun website full of kids crafts, recipes, DIY projects, and more. An easy way to make a mask or play figure is to use some paper plates. I’m sure you’ve seen all the craft tutorials out there for these type of masks. They’re fun and easy to make, which makes them the perfect craft for kids. They can paint them (and all kids love to paint), glue on fun accessories like pipe cleaner whiskers, and a pom pom nose, and draw on a cute little face. Let your child have fun with it and make it their own. There are so many more fun learning activities and entertaining crafts for kids over at Laughing Kids Learn. What kid doesn’t love wearing hats, especially silly, fun hats, like these bunny ones? Imagine how fun it would be to make these hats with your kiddos for everyone to wear on Easter Sunday. It would certainly make the day more fun for the kids, which is definitely always a plus. You can find endless amounts of fun crafts, beautiful design ideas, party inspiration and more over at The House that Lars Built. The post 9 Adorable Bunny Crafts For Spring appeared first on Life As Mama.